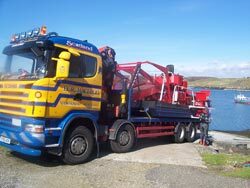 Hebridean Seaweed Company Quality Policy is to provide products and services which consistently satisfy the needs and expectations of its customers. It is the hope of the company that by adopting this policy we will always strive to deliver a positive customer experience. Achievement of this policy involves all our staff, who are individually responsible for the quality of their work, resulting in a continually improving quality of product being produced. As part it’s commitment to quality the company has been successful in gaining ORGANIC CERTIFICATION from the Biodynamic Agricultural Association for all its products and FEMAS CERTIFICATION (Feed Materials Assurance Scheme) from PAI for all its animal feed products. To achieve the ORGANIC CERTIFICATION standard the company had to demonstrate that all aspects of its operations were being carried out in both an environmentally friendly and sustainable manner. The FEMAS standard covers the assurance requirements for all feed ingredients used in the production of animal feed. This standard has been developed to provide assurance to purchasers of feed ingredients that the feed ingredients they buy are safe and will meet the quality criteria specified. The protection of health: both of the animals that consume the feed materials certificated under this standard and of the humans consuming the livestock products derived from those animals ingesting the feed materials. 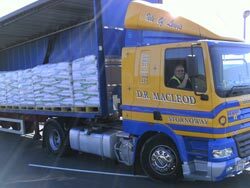 To ensure that the feed materials certificated under FEMAS meet the quality expectations required by this standard and the purchaser. To comply with both the ORGANIC and FEMAS standards, the company had to also show that the principles of Hazard Analysis (HACCP) and Good Operating Practice were being applied to all steps of their operations from harvesting through processing, packaging and despatch. The company also had to demonstrate that rigorous quality controls were in place at each stage of their operations that meet standards currently recognised as international “good practice” and which maintain the safety and specification of the products. All of the products manufactured by HSC are produced to this quality standard and they are also regularly tested (microbial & chemical) to ensure compliance with industry standards.